The new Master’s degree programme Game Studies and Engineering is an interdisciplinary programme, instructing students on technical as well as analytical and ethical issues regarding video- and other games. Students with a bachelor degree in Computer Sciences or/and Humanities, an interest in the development, analysis, critical reflection of videogames and proficiency in spoken and written English, are encouraged to enroll in this programme. The focus of the curriculum is on the the multifold nature and contextualisation of games with regard to an array of different but interconnected areas of investigation. The programme provides students with a platform to learn, study, and create games and multimedia applications. Engaged and motivated teachers and bottom-up teaching methods will involve students in game studies and game engineering and production. The practical nature of the program will be underpinned by a project semester as an integral part of the curriculum and international partners – including universities and companies – will connect students beyond campus limits. 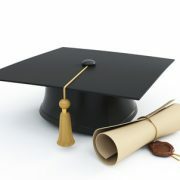 This course is a Vorlesung, meaning that the grade is awarded after a final examination. The exam will be in written form, take 50 minutes of your time and will focus on the topics discussed in the course. A list of possible exam questions is available here. ITEC offers many courses to choose from undergraduate and postgraduate level. Hosting academic notable guest lecturers on campus not only raises the visibility of Institute of Inforamtion Technology but also enhances the learning experience of our students. Guest lectures allow our students to gain insight into real-life business practices by being able to interact with business and industry leaders and enabling them to address questions directly to the experts from the field. Expand your own horizon – study abroad or visit us in Klagenfurt! Combine study and international travel: we offer a range of study programs for students wanting to study abroad or at Alpen-Adria-Universität Klagenfurt. 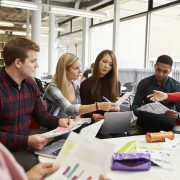 The Erasmus+ programme enables students to study for up to 12 months per study cycle (Bachelor, Master, PhD) at a European university outside of Austria. Are you enrolled at the AAU and want to experience living and learning abroad? Take advantage of ITEC´s international contacts and spend one semester or even a whole academic year abroad. Or are you interested in a shorter stay abroad? There are several options! Contact us for further details! In their master thesis, students demonstrate their ability to independently solve problems in the area of their specialization using state-of-the-art scientific methods. The following list of master theses reflects a variety of different topics and projects to work on. Students are encouraged to propose further topics suiting their personal professional interest. In any case, please contact the advisor in due course. Description: The Austrian “5G Playground” is currently being devised and built in the region, with AAU participating in this effort. We proposed to realize and test a 360° video/VR content streaming (to a head-mounted display) prototype in this upcoming 5G network, requiring both extremely high data rates and low latencies. The Master Thesis will substantially contribute to this effort. latency decision making for time-sensitive biomedical IoT applications. Necessary qualifications: basic knowledge in distributed systems, experience with containers and good programing skills. Description: The work in this thesis will be focused towards exploration of a novel concepts and methodologies for tasks scheduling in highly unstable Fog and IoT environments, therefore enabling efficient Fog resource provisioning and elastic IoT applications management. Machines, Containers, which use OS level virtualization, have recently surged in interest and deployment. In this master thesis, we study the semantic description of Virtual machine image (templates for VMs) and Container Images, and implement an automatized approach to convert a VMI into container. approach to convert the functional modules into Container templates which can be deployed as perceived by user respecting the required customizations for docker technology. Description: The work in this thesis will be focused towards exploration and implementation of a generic model and concept to run scientific workflows by using Google App Engine Queues, Datastore and Memcache. The main goal is to simultaneously optimize execution performance and cost. Description: The work in this thesis will be focused towards exploration and implementation of a generic model and concept to run scientific workflows by using AWS Lambda and Amazon S3. Description: HTTP Adaptive Streaming (HAS) is the preferred technology for video streaming in today’s internet (e.g., Netflix, YouTube) and the global IP video traffic will be 82% of all IP traffic by 2021 according to Cisco’s Visual Networking Index (VNI). Nielsen’s Law of Internet bandwidth  states that the users’ bandwidth grows by 50% per year, which will reach approximately 1 Gbps by 2021. The quality as experienced by the end user is determined by video quality, startup delay, stalls, quality switches, etc. and generally referred to as Quality of Experience (QoE).Thesis projects of all kind in the area of HTTP Adaptive Streaming (HAS) and Quality of Experience (QoE) are solicited which are highly relevant in the context of MPEG (https://mpeg.chiariglione.org/) and Bitmovin (https://bitmovin.com/). For further details please contact the instructor christian.timmerer@itec.uni-klu.ac.at. Necessary qualifications: courses in the area of “Medieninformatik” are appreciated.